The average cost of memory care in York County is $8,060 per month. This is higher than the national median of $4,650. Cheaper nearby regions include Strafford County with an average starting cost of $5,830. Caring.com has helped thousands of families find high-quality senior care. To speak with one of our Family Advisors about memory care options and costs in York County, call (855) 863-8283. In York County, located in southwest Maine, bordering eastern New Hampshire, 19.7 percent of the population of 204,191 are seniors aged 65 or over and some need 24-hour care for dementia. In the state, where some 19.9 percent of Maine's 1.3 million residents are aged 65 or over, around 28,000 are estimated to have Alzheimer's disease. This figure is expected to grow by 25 percent to 35,000 by 2025. Two memory care facilities, known as Alzheimer's/dementia care units, are located in York County to serve its residents with memory impairments. Weather in York County is relatively pleasant. The average high in July is 81 degrees, making it suitable weather for spending time outside with loved ones at their memory care facility. York County does receive a considerable amount of snow each winter, however. It averages 52 inches, which might be challenging for relatives who want to visit during the winter months. On a cost of living index where the national average is 100, the cost of living in York County is 116.2, a bit above the average mark, and more expensive than Maine overall, which is 105. Housing is the biggest factor in cost of living differences. 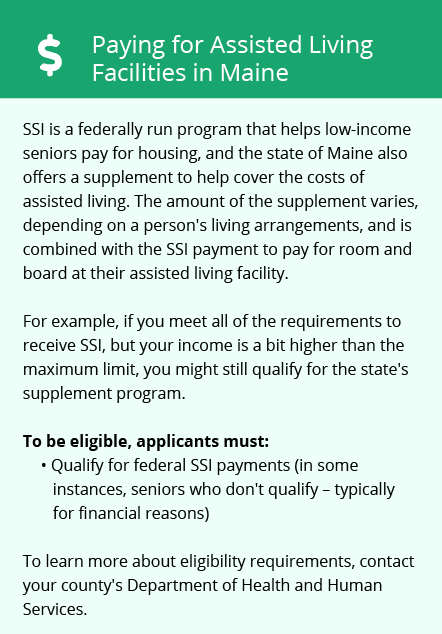 Maine is not considered to be tax-friendly toward senior retirees. While the state does not tax Social Security income, all other forms of retirement income are taxed, including withdrawals from retirement accounts and public and private pension income. Moreover, they may be taxed at rates as high as 7.15 percent. York County is home to world-class medical facilities, including those specializing in brain health and dementia care such as York Hospital, in the event of medical emergencies or illness. Memory Care costs in York County start around $8,060 per month on average, while the nationwide average cost of memory care is $4,798 per month. It’s important to note that memory care rates in York County and the surrounding suburbs can vary widely based on factors such as location, the level of care needed, apartment size and the types of amenities offered at each community. York County and the surrounding area are home to numerous government agencies and non-profit organizations offering help for seniors searching for or currently residing in an assisted living community. These organizations can also provide assistance in a number of other eldercare services such as geriatric care management, elder law advice, estate planning, finding home care and health and wellness programs. To see a list of free memory care resources in York County, please visit our Assisted Living in Maine page. 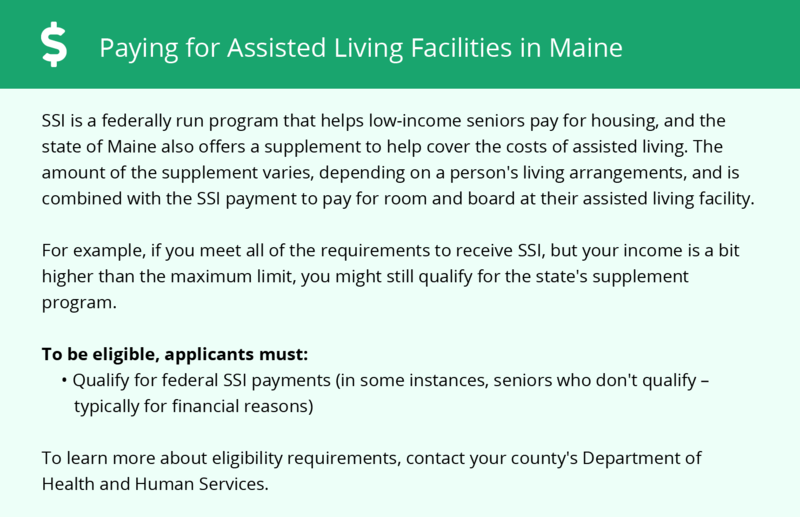 York County-area assisted living communities must adhere to the comprehensive set of state laws and regulations that all assisted living communities in Maine are required to follow. Visit our Memory Care in Maine page for more information about these laws.